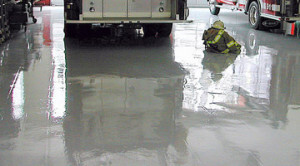 Carefully-chosen and professionally-installed concrete epoxy floor resurfacers and other resins can save thousands in concrete slab replacement and facility downtime costs. Resurfacing concrete floors is a science, and it takes the expertise and experience of field technicians and skilled installers to effectively repair surface cracks & damage. That’s where Florock comes in. 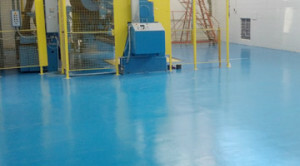 With our full-scale R&D and QC laboratories, floor coating engineering and manufacturing capabilities, regional factory technical representatives, and full network of local, approved specialty contractors, you can be assure that you’re getting the optimal concrete floor resurfacers for your facility. Whether you need a simple patch or a complete resurfacing, our wide range of solutions ensures that your facility’s flooring isn’t just fixed—it’s improved. When to Repair Surface Cracks & Damage? You should always patch and repair as soon as you see a concrete crack, hole or other deterioration. Then, resurface your floor when it fits your schedule and your budget. This may mean that you resurface different areas of your facility on different schedules, administering spot repairs when needed and resurfacing later on. It all depends on you and your flooring’s needs. Our highly experienced factory technical representatives will evaluate your facility’s concrete flooring carefully, listen to your concerns, and present you with floor repair and resurfacing options that meet your short and long-term goals. It’s all part of the quality and service we’re known for, and that you can expect with our complete concrete floor resurfacing solutions.